Like fine wine, some restaurants are best reserved for special celebrations. Such is Wildflour Cafe. Thus, when we recently received good news at work, we immediately thought of celebrating it at Wildflour Cafe. We wanted for so long to try it but hadn't had the time (and a good reason) to do it. 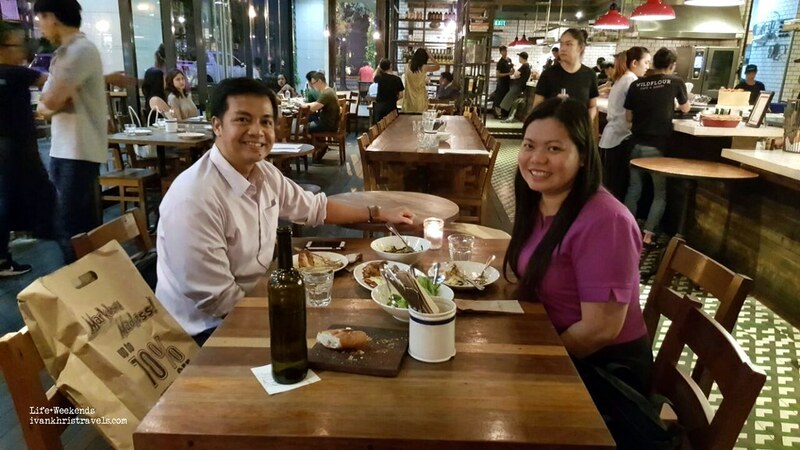 Located in a quiet corner in Salcedo Village, Wildflour Cafe was indeed a perfect venue for a celebratory dinner. The lights are warm and cozy. 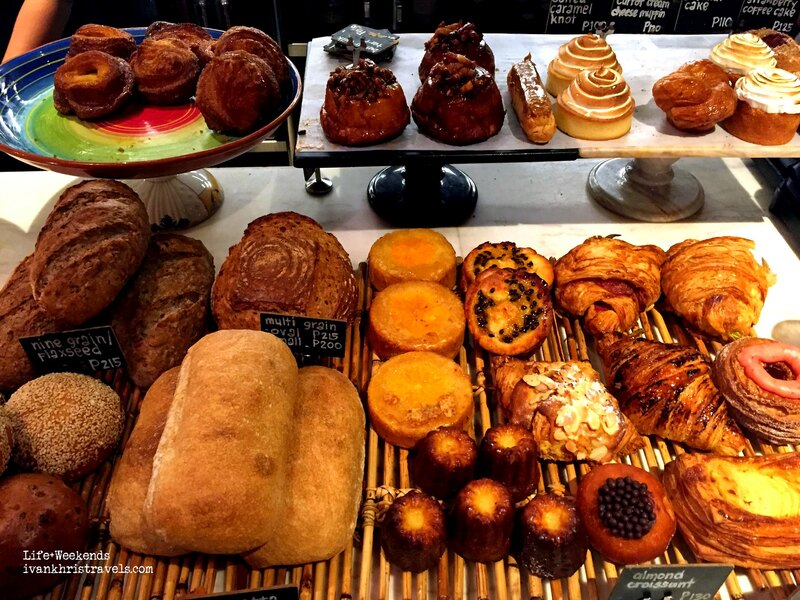 The beautiful and aromatic pastry spread added allure to the interiors of the place. We couldn't resist the sight of the myriad breads on display, so we gave in and bought several pieces of Cinnamon Rolls and Salted Egg pastry for breakfast. For our meal, we ordered Wildflour Salad, Black Squid Ink Bucatini Pasta and Roast Organic Chicken. The salad is a filling combination of greens, chunks of avocado, caramelized walnuts, bacon bits and topped with a poached egg. We couldn't help but marvel at how beautiful the salad was. 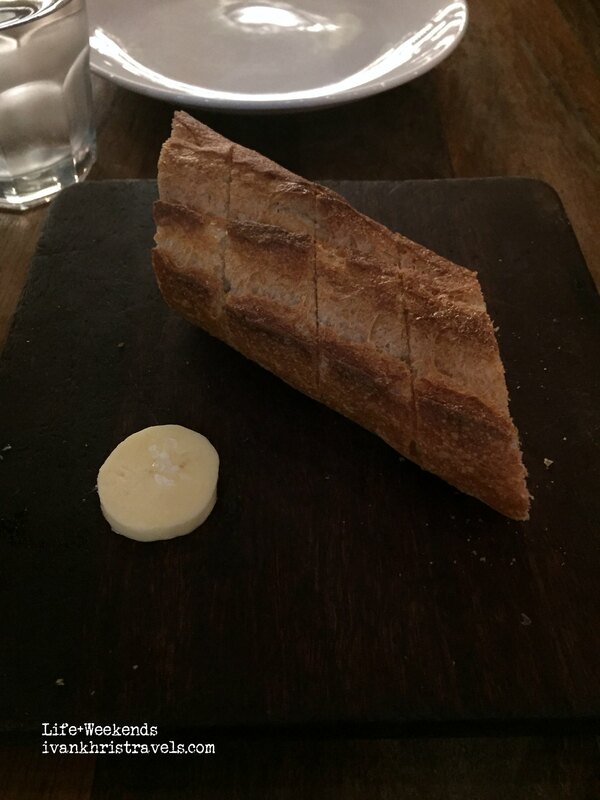 It was a complete and healthy meal on its own. 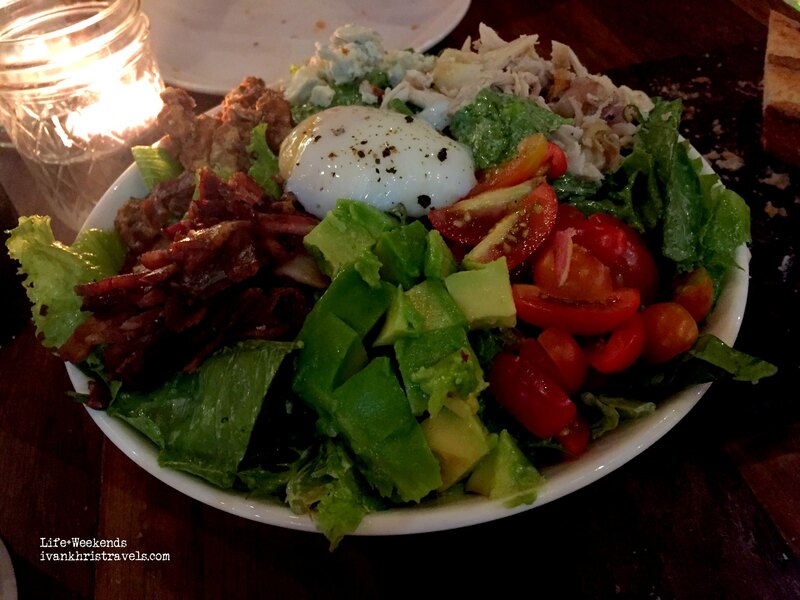 I particularly love the act of smashing the yolk of the egg and letting it drip over the salad. We loved the melding of flavors of the creamy avocado, salty bacon bits, sweet caramelized walnuts and fresh crisp greens. This salad was delicious and was a delight to munch on. The Black Squid Ink Pasta, on the other hand, was a very rich and flavorful dish. 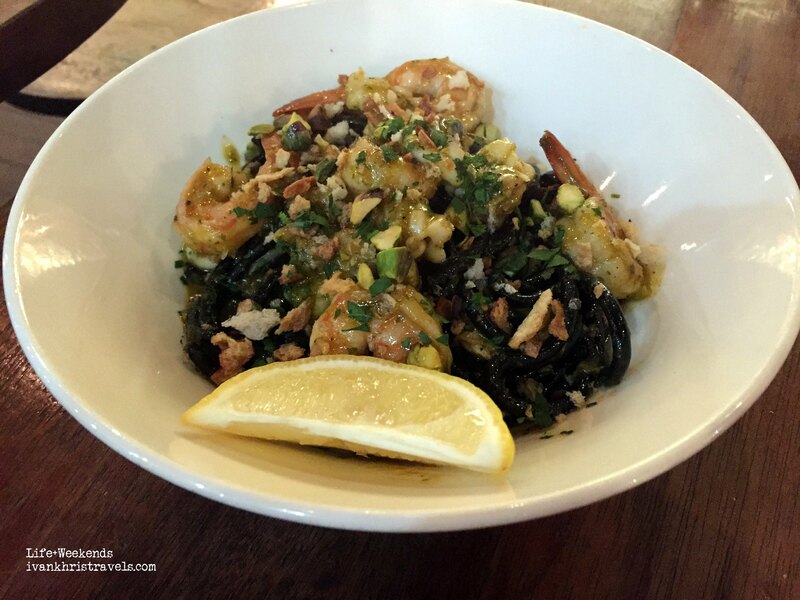 This was an outstanding dish that should be in every seafood and pasta lover's must-try list. The pasta itself was black from the coating of squid ink sauce and was topped with several pieces of shrimps. Before enjoying this seafood delight, squeeze a little lemon juice over it to cut its richness. 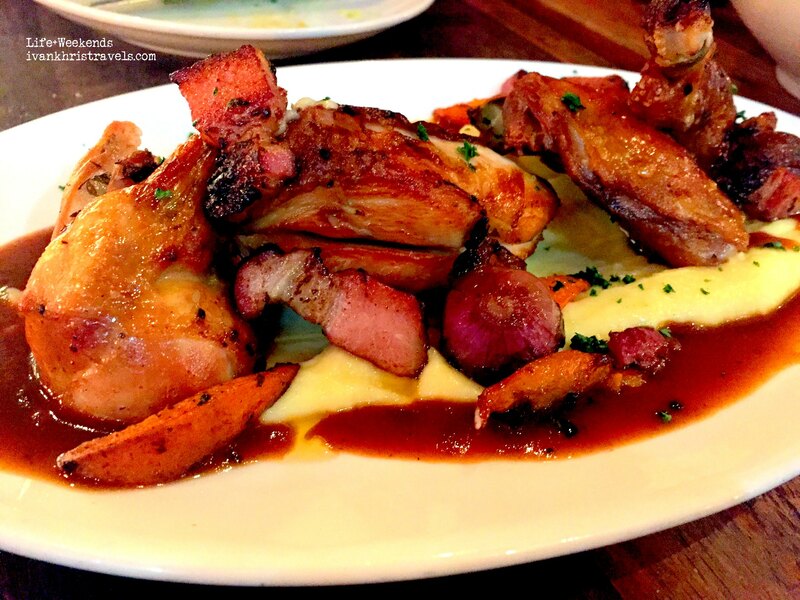 Meanwhile, the Roast Organic Chicken is a lovely plate of chicken, onions, potatoes and slices of pork, and drizzled with sauce. I am not particularly fond of chicken but I wanted to have something light and not too oily. It was, however, a little too bland for me so I just helped myself to the vegetable sidings. We paid Php1,550 for this beautiful dinner. 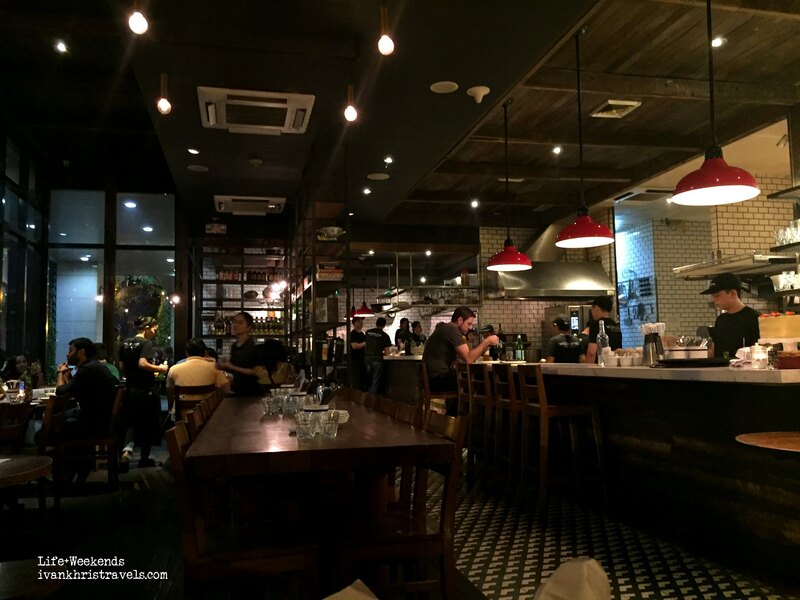 For those who are looking to have an excellent dinner amidst a fine-looking backdrop, then Wildflour Cafe may be the place for you. The food is of high-quality, the interiors are relaxing and the pastry spread provides an extra charm to the place.